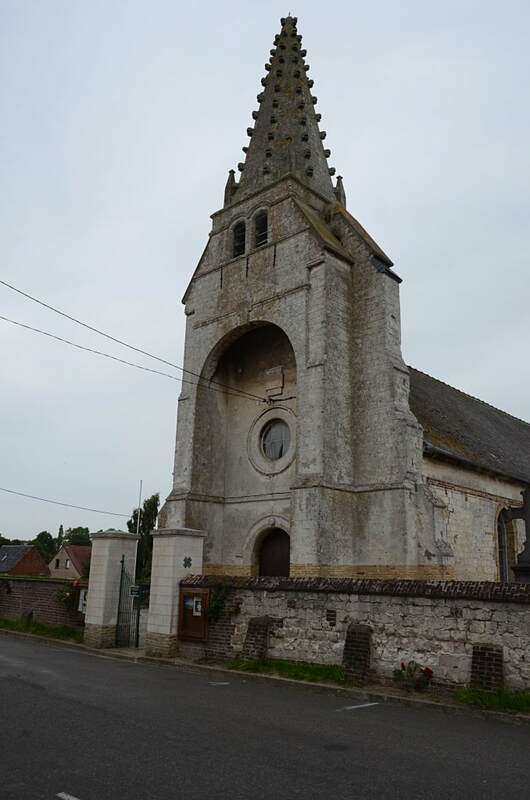 Bayenghem-lès-Éperlecques is a small village North-West of St. Omer in the Pas De Calais region. The Churchyard is located in the centre of the village. 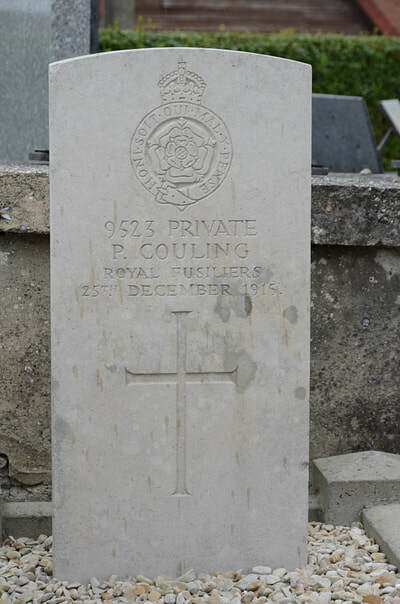 9523 Private P. Couling, 1st Bn. Royal Fusilers, died 25th December 1915. 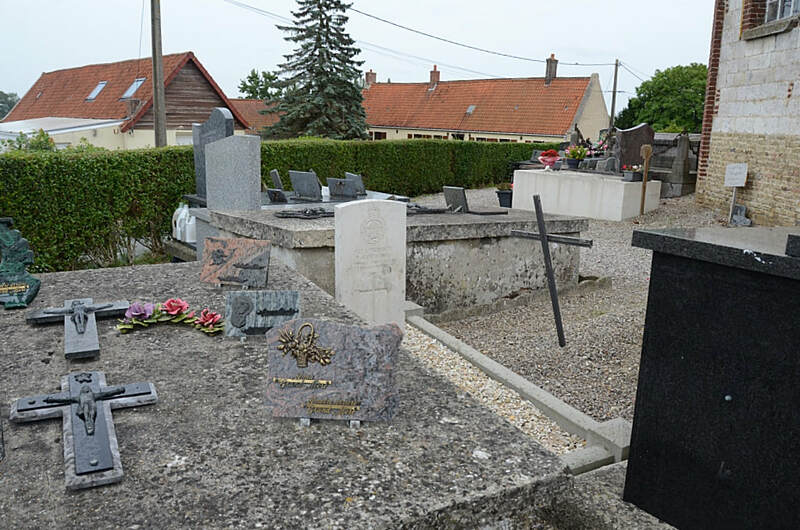 Grave is located North of Chancel.